Today is Good Friday. As we contemplate what this day means to us, let us meditate on the sacrifice Christ made for us. Take a few minutes to read Luke 23:26-43. Once you have read the passage, spend some time focsued on the verses below and what they mean to us. I remember it like it was yesterday. I had preached my heart out at a small church in a small town in Mississippi. In my sermon I had urged each person present to be the one to pray, give and be on mission both in their own community, and in Vermont, where I was serving as a church planting missionary. At the end of the sermon I offered the challenge, "Will YOU be the one to say yes to Jesus about praying, giving and being on mission?" I asked that if they were willing to be the one, for them to come down the aisle and tell me so during the invitation hymn. During the invitation hymn only one person responded. I can still see him in my mind making his way slowly down the aisle. He was an older gentleman with white hair and a cane. When he got to where I was standing, he leaned over and whispered in my ear, "I'm the one." He then put something in my pocket and slowly made his way back to his seat. Later that day, when I looked at the piece of paper he had put in my pocket, it was a check for $10,000 to the mission organization I was serving with. That check helped that organization keep going for some time. In the nearly 20 years since, Brother Jim remained faithful in praying. He kept my newsletters and prayed through every prayer request multiple times. He often sent me notes of encouragement or would call on the phone and lift my spirits through encouraging words. He also continued to give generously, often at great sacrifice to his own needs. There were certain years in which he and his wife were the largest benefactors for that year to our small mission organization. Many are now in the Kingdom of God due to Jim's praying, encouraging words and his giving. That was just the kind of man Jim was. This morning his dear wife Margie called to let me know that Jim would be spending Easter with Jesus this year. He passed away yesterday. But Margie found great comfort in knowing that Jim knew the Lord in a special way and that Jim had made a difference in the lives of others. We prayed and cried together over the phone, thanking God for Jim's life. Jim answered the call of God to make a difference with his life. We may not all be able to do it in the same way that Jim did, but we can all do something to help others. Let's pray. Let's give. Let's offer an encouraging word. Let's make a difference in the lives of those around us. Today is Holy Wednesday, the day we traditionally remember that Judas conspired with the religious leaders to betray Jesus. Many may wonder why such a day would be considered holy if it commemorates such a terrible event. Though Judas's actions were terrible, God used those actions as an important part of His larger plan for world redemption. The betrayal was prophesied in Zechariah 11:12-13. You can read more about that here. So the betrayal was not a surprise to God the Father. Nor did it surprise Jesus, since Jesus spoke about it in Matthew 26:24-25, as well as in the Gospels of Mark and Luke. God, who is all knowing, fit the terrible actions of a selfish, greedy, unfaithful friend, into the grand narrative of scripture. It is important for us to remember that God has a plan in all of this because each of us have had times in our lives when we let God down. We may consider ourself a friend of God and feel really bad for letting Him down. Though we may not have betrayed Jesus for 30 pieces of silver like Judas did, we have all done things in our lives that we know the Lord is not happy with and sometimes we do not know what to do with those feelings. Holy Wednesday reminds us that a holy and just God has a way of using all the failures and mistakes in our lives for His glory. As we acknowledge our sin and turn from them back toward a closer relationship with Christ, we can see our messes transformed into miracles. As we move through this day, let us give our past to Christ and ask Him to turn the mess of our mistakes into something wonderful in His great plan. Are the methods that worked to reach new church members in the 1950s working today? In the fifties there wasn’t much to do for entertainment in the rural community where I grew up. The little country church my family attended held a couple of revivals each year. A firebrand preacher was usually invited to bring the “messages” and folks would come from all around to hear him. For that week it was the best “entertainment” in the community. Even the unchurched attended. That’s why revivals worked as an evangelistic outreach. People came to know the Lord through these revivals. For much the same reason, through the 1950s churches thrived by simply being there. There was not much competition on Sunday, even in our towns and cities. Cinemas, shopping, and sports events weren’t open for business on Sundays. Nothing else to do, might as well go to church! The church was the place to be. But now it’s the 21st century. The church has plenty of competition. Cinema, shopping, television, the Internet, and a multitude of other activities are competing with the church on Sundays and every other day of the week. We can no longer just erect a building, put a sign out front that says church, and expect people to come. This kind of church was described even earlier by the great theologian Elton Trueblood. He suggested that many Christians have been inoculated by just enough “Christianity” to keep them from catching the real thing. My sixty plus years of experience in the church has convinced me that Walsh and Trueblood were right on the money. Very few people in America are atheist or even agnostic. They just believe God doesn’t have much to do with their life. Church members see themselves as “believers.” The problem is they believe in a Jesus that saves, but not the one who calls those he saves to radical discipleship. The institutional, social club church of the 1950s will not survive the 21st century. But a church that takes seriously God’s call on our lives will thrive. When we feed the hungry, give water to the thirsty, welcome the stranger (rich and poor), give clothes to the needy, care for the sick, we will attract others who want to be a part of something that makes a difference. When we address life issues such as unemployment, divorce, addiction, and family conflicts, we will attract those who are hurting. When we provide a nurturing place for children and youth and help parents with the awesome responsibility of raising kids in a hostile world, we will attract new families. When we take the gospel seriously, serving as faithful disciples, God will bless our work of service and our churches will grow in quantity and quality. Do you agree the methods that might have been somewhat successful in the fifties are not making disciples in the 21st century. What do you think we should change? 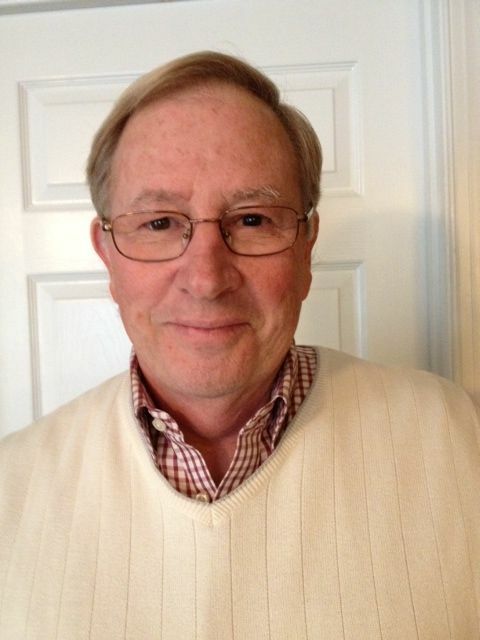 Dr. Gary Thompson is a retired United Methodist pastor. 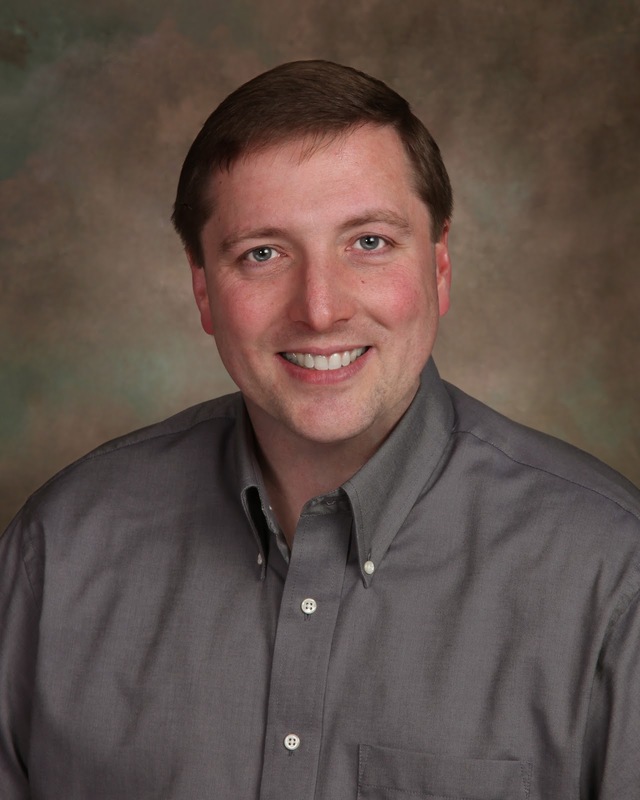 He writes adult curriculum for the United Methodist Church. His passion is helping the Christian Church more effectively fulfill its mission of making disciples of Jesus Christ and helping individuals identify and fulfill their God-given personal mission. Why are our youth leaving the church? This question comes with its own various sets of answers. Is one answer or reason better than the other? Really depends on what you are looking for. The fact remains; it is an unfortunate fact that youth from middle school age through college are becoming disenchanted with traditional religion and the church. They are sadly looking elsewhere. It is not that they are indifferent to religion. Actually, they are hungry for nourishment in “what is it we believe”. Too often they will not ask this very question out of fear of being ridiculed by friends and parents. As the frustration of non-fulfilling religious beliefs rise, the interest in the traditional church diminishes. When we, in the church, embrace a doctrine of rules and regulations to achieve salvation; we are then going to lose the majority of our youth. Various studies show the church is losing 80% to 90% of their youth as they approach and are in their college years. It is now being found that this movement is starting as early as middle school. You can force your young person to attend church, Sunday School, or whatever. You assuredly can’t force them to want to learn or believe what they are hearing, much less come back for more. What is the reason for this mass exodus and lack of interest? Today, we are seeing a growing trend of hostility towards Christianity; a lack of “tolerance” for Christian beliefs disguised as a push for more “tolerance” of others beliefs. We hear the word Apologetics as a means of teaching our youth and children how to defend their beliefs and the Bible. There are basically three places where our youth will learn about life and how to fit into our society; the home, at school and in church. They are born into the home; they by law must attend school; so that leaves the church. Going back to one of our earlier statements, why are our youth leaving the church? Let us be honest. Are they leaving the church or are they leaving the traditional church; the legalistic church? We may even ask; is the church leaving them? Are they starting to question empty rituals and ceremonies? If we want them to bring Jesus into their everyday life, then they need to be able to bring their everyday life, with reverence, into the church. Maybe they want to wear other than “traditional” church cloths at church; or listen to non-traditional music. Is this so bad as long as they are worshiping the same God? Rather than criticizing the mega churches and the small non-conventional churches, perhaps we should embrace them as a means of reaching our youth. What those in middle school are looking for and questioning today, are things you and I never even thought of until well into young adulthood; if ever. Religion needs to be replaced by Christian principles. Acts and ceremonies need to give way to an everyday lifestyle of Christian creeds. We have entered a new technological world. Our youth are merely looking for their own way to understand what they really believe. Is it that much different from what we believe? Actually no. They just want to go about learning and understanding it in a slightly different way. • As we follow the footsteps of Jesus toward the cross, at one point we find Him in Bethany. • Jesus visited Bethany at least five times during His earthly ministry. • It was the home of Lazarus, whom Jesus had raised from the dead, and his sisters, Mary and Martha, who were close personal friends of Jesus. 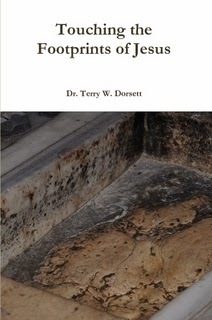 • Bethany was located near Jerusalem and historical records reveal that there were three “homes” that took care of the poor and sickly, including one specifically for lepers. • These three “homes” were probably more like group homes than private homes, but there is no way to know for sure. • In addition to those three homes for the poor and sick, there were many private homes in Bethany, at least one of which still stands after 2000 years and tradition says is the home in which this story took place. 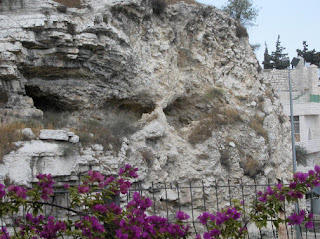 Verse 6 - … Jesus was in Bethany at the house of Simon, a man who had a serious skin disease. • Simon had leprosy which was a terrible skin disease and made Simon ceremonially unclean according to Jewish tradition. • “Good Jews” did not go to the homes of lepers. • But Jesus was there because He cared about people more than he cared about tradition. • As we consider what it takes to reach our nation for Christ, we must follow Jesus’s example of spending time with those whom our religious traditions might shun. • People often gave Jesus a hard time about this, and the same might happen to us, but it is part of the cost of being on mission for the Lord. Verse 7 - a woman approached Him with an alabaster jar of very expensive fragrant oil. She poured it on His head as He was reclining at the table. • While Jesus was visiting with Simon the Leper, a woman came up to Jesus. • Though Matthew does not tell us who the woman was, the Gospel of John reveals that Lazarus, Mary and Martha had been invited to the dinner that Simon was hosting for Jesus and that Mary was the woman. • Mary anointed Jesus’s head with expensive oil. The Gospel of John says she also anointed His feet. • According to John, Mary used a pound of oil, which was far more than the ritual amount normally used when a person wanted to show someone honor. • Mary was trying to demonstrate extravagant love. • The Gospels of Mark and John tell us that the oil was worth 300 denarii, which was a year’s wages for a common man. • Mary made this great sacrifice as a sign of her love and devotion to Jesus. • Mary’s love for the Lord was not stingy. • Far too many Christians have never made any significant sacrifice for Jesus. • In fact, in our consumer Christianity culture, increasingly we rarely make even minor sacrifices for Christ. • We have become people who want to be served by the church of Jesus instead of serving Jesus through the church. • This cost Mary a great deal of money, a year’s wages. • Missions is going to cost a lot of money, especially in places like New England where the cost of living is very high. • This cost Mary time that she could have been relaxing. • The Gospel of John says that Mary’s brother Lazarus was reclined at the table having a meal while Mary did this. • Mary had to get out of her recliner and sacrifice her time to do this for Jesus. • According to the 2011 American Time Use Survey people age 25-54 who were employed spend 7.6 hours sleeping, 8.8 hours working, 2.5 hours in leisure activities every day. • The same survey revealed that retired people age 65 and over spend 7.7 hours EVERY day in leisure activities, which includes 4.5 hours watching TV. • This cost Mary some of her reputation. • As soon as Mary did this, the nay-sayers started complaining. • They said she was wasteful. • If we start spending significant amounts of money, time and energy on missions, we can expect some complaints. • This was not just some grumbling under their breath, the disciples were angry about it. • It is interesting how God’s people forget to be godly when money is involved. • The disciples said the reason they were upset was because the money could have been given to the poor. • It is important to remember that Jesus DOES expect us to help the poor, and this passage in no way undermines Jesus’s commands to help the less fortunate. • But the problem in this passage is that the hearts of those complaining were not really interested in helping the poor. • John 12:6 reveals that they did NOT really care about the poor; instead, one of those complaining wanted to use the money for himself. • When it comes to missions, we often use fancy talk as a way to convince ourselves that our time, money and energy are best spent on ourselves. Verse 10 – But Jesus, aware of this, said to them, Why are you bothering this woman? She has done a noble thing for Me. • Jesus knew their hearts, and confronted them about it. • Jesus knows our hearts, and what will we do when He finally confronts us about it. • Jesus said Mary had done a noble thing, something worthy of remembering. • Have we ever done a noble thing for the Lord that will be remembered after we are gone? • Jesus said that anywhere the Gospel is proclaimed; Mary’s noble act would be remembered. • What a legacy to leave behind! • We can spend our time, money and energy golfing, shopping, going out to dinner and building our dream homes, or we can do something noble for the Lord. • Spending time with people our religious traditions normally shun. • Investing significant money in missions. • Giving up some of our leisure time to volunteer. • Giving up some of our reputation to serve in ways that others will not understand. THE RESULT: the salvation of the lost, the planting of new churches and the glorious Gospel being proclaimed in noble ways that leave a legacy for future generations. This is the fourth and final part of the sermon I preached at Bethlehem Baptist Church on Sunday in Bethlehem, CT. The is the third part of the sermon I preached at Bethlehem Baptist Church on Sunday in Bethlehem, CT. I preached a sermon from Psalm 54:1-4 on Sunday at the Bethlehem Baptist Church in Bethlehem, CT. Here is the first part of that sermon. 1God, save me by Your name, and vindicate me by Your might! 2 God, hear my prayer; listen to the words of my mouth. 4 God is my helper; the Lord is the sustainer of my life. • At the time this Psalm was written, King Saul had become jealous of David’s popularity with the people and with the obvious favor of God that rested on David. • As a result of that jealousy, King Saul tried to kill David and David fled with some of his loyal followers. • Even though they were wrongly pursued, David and his man still endeavored to do what was right and often protected Israelites from raiders, the Philistines, and other enemies. • At one point David’s group hid in the forest of Ziph. The entire story is found in 1 Samuel 23. • In an effort to gain favor with King Saul, the people of Ziph, betrayed David’s hiding place. Those people should have been grateful for David’s protection, but instead they turned against David in his moment of need. • David wrote this Psalm out of the anguish he felt over that experience. Verse 1 - God, save me by Your name, and vindicate me by Your might! • Though David was a man of great abilities, and had a strong fighting force under his command, the very first verse of this Psalm is David’s appeal to God for help. • We often become so confident in ourselves and in our own abilities, that we only call upon God after all else has failed. Life would be much less stressful if we called upon God first instead of trusting in our own abilities. • Notice that David knew God by name. David did not appeal to some nameless entity off in some distant corner of the universe, but to a God he had come to know as a young boy watching his father’s sheep. • Because David knew God personally, the name of God sustained him through the challenges of his life. • There is great power in the various names of God. Each name represents a different aspect of God, and therefore we use them at different times in life. • Sadly, some people have confused the names of other gods for the many names of the One true God. Sometimes we replace God altogether and start trusting in our own abilities or man-made organizations or politicians. • If we hope to bring the name of Christ back to our nation, we must pray. • Several websites that I consulted said that the average Christian in America only prays 3-7 minutes a day, and that includes praying for meals. • George Barna’s research says that the average PASTOR only prays 5 minutes a day. • Though those on the far right like to blame liberals, gays, Democrats and abortionists for our nation’s problems, our nation is not a mess because of the liberals, the gays, the Democrats, or the abortionists. Our nation is a mess because God’s people are not praying! When we can cut through all the labels and pray fervently, our nation will turn around. • David asked God to listen to the “words” of his mouth. This is a reference to specific things David was praying for. Though David did not list those specifics in this psalm, since it was meant to be used by a group, when David prayed privately, he prayed specifically. • Far too many of us pray such general prayers that lack a specific focus that we would not know if God did answer them. Instead of praying, “Lord, bless the missionaries,” we should be praying for missionaries by name and need. Instead of praying for “the lost to be saved,” we should be praying for our unsaved friends by name and by situation. • Perhaps we are vague in our prayers because we lack the faith that God will hear us. God always hears our prayers. He does not always answer in the way we expect, but God does respond in the way that is right. • When David prayed this, he was being unjustly pursued through the wilderness and had just been betrayed by people he had protected. It was not the best day of David’s life! • Even with all those struggles, David knew that if he prayed, God would listen and respond in ways that would ultimately be for David’s own good. • This was not a “name it, claim it” kind of praying, it was a “God, do something before I die!” kind of praying. When we pray with that kind of faith, it is amazing how God answers. • David was in a situation where the men of Ziph, who he had protected from a distance, but did not know in a personal way, betrayed him. They were strangers to him, yet they sought to destroy him in order to gain favor with King Saul. • How many times in our lives have people who barely know us hurt us? • Think about what happened in Newtown, CT. A mentally unstable young man killed 26 strangers in ten minutes of violence that still leaves us numb to think about. Though Newtown is an extreme example of violence from strangers, many of us have had things done to us by strangers that hurt us. • And sadly, many of us have also been hurt by those we thought were friends, or by relatives we thought we could trust. Whether strangers, or friends, the actions of others can be extremely painful to us. • We often ask how people can do such hurtful things to others; David’s answer reminds us that they had no regard for God. • This does not necessarily mean they were atheists, but it means that serving God was not the primary motivation of their lives when they took those actions. • In this particular situation, their primary motivation was to gain favor with King Saul. • Think of all the pain that is caused because people are trying to be popular, or manipulate some situation to their advantage. When we leave God out of any situation, the result is never positive. • Do not miss the word Selah. The word “Selah” occurs seventy-three times in the Psalms, and also is found 3 times in Habakkuk. The exact meaning of the word is unknown, but it is believed by many scholars to be a musical term that means pause, or reflect. • David was asking us to pause and reflect on this truth. • We must realize that this kind of behavior, which leaves God out of various situations, is a constant reality in our sin cursed world. We will never overcome it by rules, regulations, legislation or any other man made system. We need God’s help when we face these kinds of situations. • All the rules in the world will not change the human heart. Only a relationship with the true God of heaven, through His Son Jesus Christ, can change the human heart. We must acknowledge this great truth in our lives and place all of our hope in Christ alone. Verse 4 - God is my helper; the Lord is the sustainer of my life. • When we understand this great truth, then God becomes our helper and if God is for us, no one can stand against us. But God is more than just a helper, He is our sustainer. • The Hebrew word for sustainer is the bə·sō·mə·ḵê or בְּ ֽסֹמְכֵ֥י. • It only occurs twice in scripture. In this Psalm and in Ruth 4:15 where it says that God would sustain Naomi in her old age. • We do not have time to look at the whole story of Naomi, but the short version is that her husband and sons died, leaving her in a strange land with no money, no job and no one to stand up for her rights. In that day and time, a woman in such circumstances was destitute and often either starved or was taken advantage of by a man. Naomi had no other source of sustenance. Therefore, she had to rely on God. But God was there for Naomi and took care of her. Her story has one of those “lived happily ever after” endings. • Likewise, God was there for David. And God is here for us. • When we cast all our hope on Him, He will sustain us even in the most difficult experiences of life. When God is all we have left, then we can be sure that He will be enough to get us through whatever this sin cursed world throws at us. • Since I am in the process of moving from Vermont to Connecticut, I have been studying Connecticut history. When Europeans first settled in Connecticut, they were quite the religious group and their favorite prayer came from Psalm 54:4. That prayer was, “He who transplanted still sustains.” Incidentally, that remains the official state motto for Connecticut. • But we have forgotten our rich Christian heritage. For example, Hartford saw ten new mosques built in the last decade but only one new evangelical church. Things that were once sinful are now the law of the land in Connecticut. If we do not soon turn back to the One who put us here, things will get worse instead of better. We still need the One who transplanted us to sustain us. • We must know God personally and cast all our hope on Him. • We must pray fervently and specifically, trusting God to always do what is right. • When treated wrongly, our response should bring God’s presence back into the situation because He is the only one who can sustain us. Does the Fear of Judgment Lead to Judgment?